Binay Tamang met WB Governor K N Tripathi and requested him to talk to the Centre to initiate tripartite talks to solve the impasse. 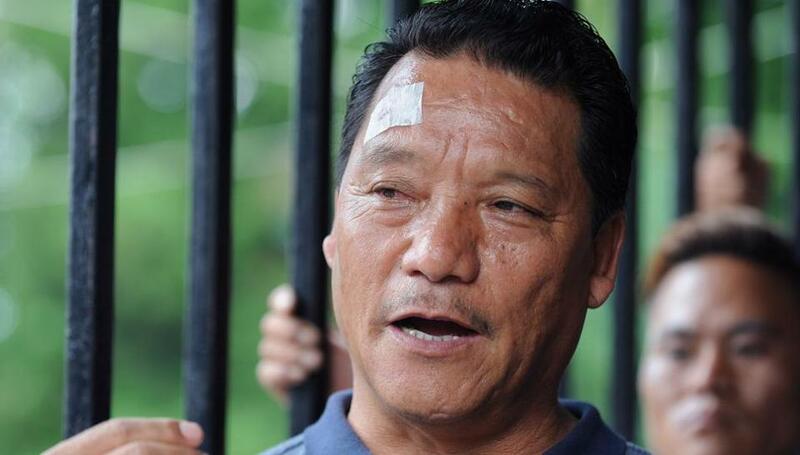 Expelled GJM leader and Chairman of the BoA for Darjeeling Binay Tamang blamed party supremo Bimal Gurung for today's violence in the hills. Once again violence broke out in Darjeeling, after the clashes between Kolkata Police and Gorkha Janmukti Morcha (GJM) supporters. 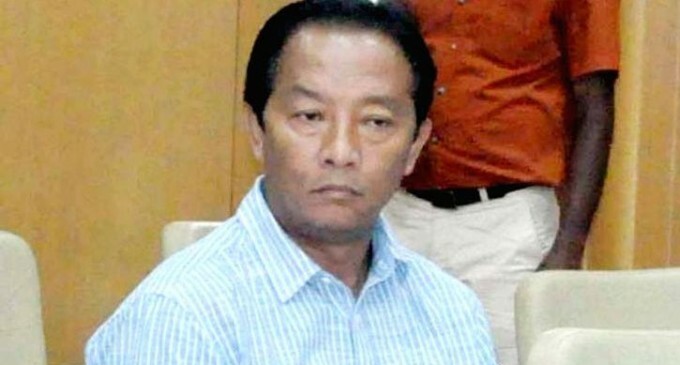 GJM supremo Bimal Gurung rejected West Bengal Chief Minister Mamata Banerjee's appeal to withdraw the indefinite shutdown in the hills. 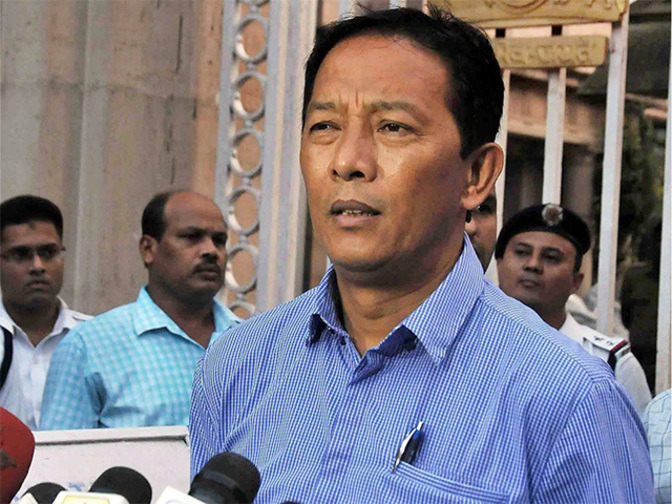 Bimal Gurung warns if any other issue other than 'Gorkhaland' is discussed with the govt, they would not be allowed to return to the hills. 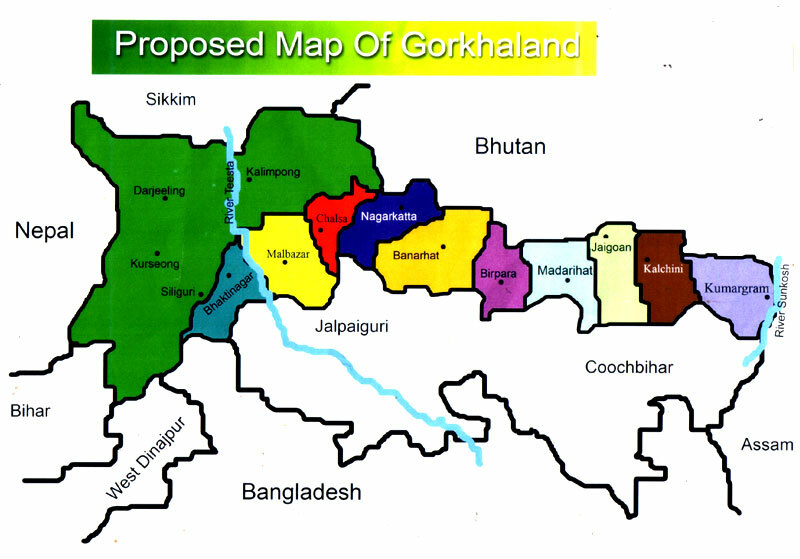 With the shutdown in Darjeeling entering 62nd day, GJM chief Bimal Gurung vowed that he will never compromise with the demand for Gorkhaland. Students of schools & colleges of the strike-hit hills of West Bengal have virtually become refugees bearing the consequences of the protest. 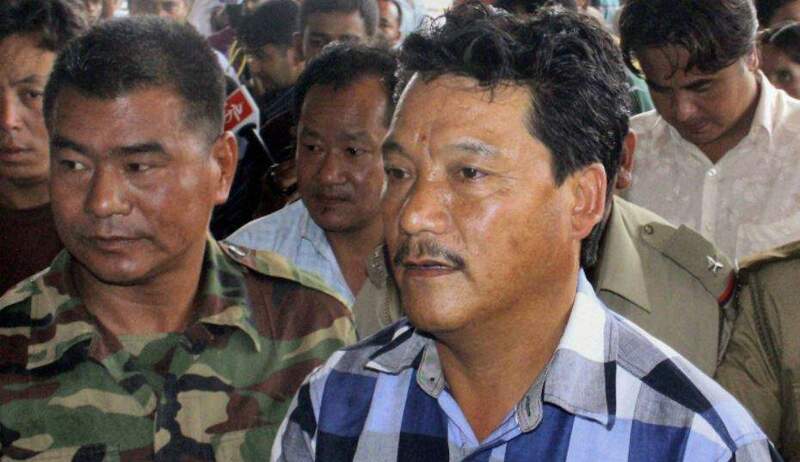 The CBI seeks an arrest warrant against GJM president Bimal Gurung, his wife Asha and 20 others in connection with Madan Tamang murder case. 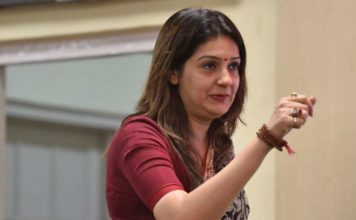 Internet services are suspended for last 32 days. 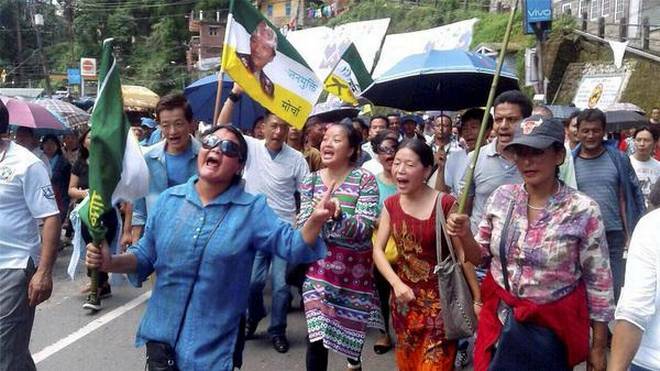 GJM demonstrate outside the district magistrate’s office demanding restoration of services. The seizure of a consignment containing army like uniforms, shoes and masks, indicates the that GJM is planning to set up a private army.